Ballroom Blitz dance studio will be closing its doors April 19 after 15 years in the Eagle Rock community, as the owners are moving to Northern California. 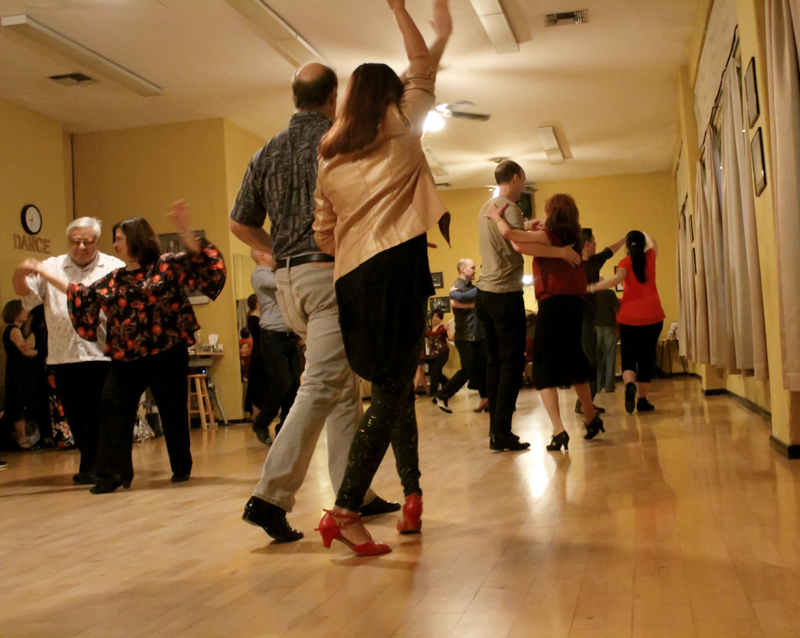 The studio taught classes ranging from basic ballroom dancing, to salsa, to the Vietnamese waltz. Owner Susannah Cuesta, who has been dancing ballet since she was four and ballroom since she was 19, was already teaching her husband, Anthony, the basics of dance when they had the idea to start a dance studio. The couple opened the studio in 2004 after Anthony saw the property on Eagle Rock Boulevard while driving home. According to Anthony, after that, things fell into place. When the Cuestas opened Ballroom Blitz, they agreed that the studio was not going to be used to sell dance, but rather to teach dance. Though Ballroom Blitz was a business, the Cuestas’ main priority was to educate others about the value of ballroom dancing. According to Susannah, getting to teach her life’s work to her community has been her most valuable experience gained from Ballroom Blitz. “Just the privilege of them letting me share the love of what I do and what I’ve spent my whole life studying is very much an honor,” Susannah said. Dancers at the studio vary in skill and age, with dancers ranging from 13 to over 70 years old. Community member Judy Hernand said she used the studio to stay active after she underwent cardiac surgery. David Kojimoto, who has been dancing at Ballroom Blitz since its opening, said it has an atmosphere that accepts those who are new to dancing and people for whom dancing does not come naturally. In the 15 years of Ballroom Blitz, Eagle Rock Boulevard has seen tremendous changes. Anthony, who has lived in Eagle Rock since the ’80s, said there used to be a plethora of unusual shops along the street. Ballroom Blitz joined the ranks. “When we showed up in 2004, ballroom dancing was still a mystery,” Anthony said. Now, according to Anthony, the people of Eagle Rock have come to regard the studio as a landmark. Even those who don’t dance at Ballroom Blitz are in some way part of the community created by Ballroom Blitz, according to Susannah. Ballroom Blitz’s 60 feet of windows, which allow passersby to see into the studio and watch dancers as they practice, helps make this possible. Despite the name the Cuestas have made for themselves in Eagle Rock, Susannah and Anthony said they are ready for their next adventure in Northern California. The couple said the adventure will almost certainly contain dance. “I’ll probably be fine for a couple of weeks and then I’ll start with, ‘Okay, so this community needs to dance,’ and I’ll figure out who wants to dance there,” Susannah said. For the remaining days until the studio closes, the dancers at Ballroom Blitz continue to gather together to practice and reminisce on memories of the studio.